If you’re reading this, you may be considering a change in career. Congratulations on taking the first step. We can see why you’d consider becoming a financial adviser: the freedom and flexibility to work from home, choose your own hours, and realise true job satisfaction by helping your clients achieve their financial goals. If this wasn’t enough, the average total earnings for an employed UK financial adviser in 2018 was £93,100, up from £81,500 the year before , which dwarfs the average UK salary in 2018 of £27,271 . Even first-year earnings for a trainee adviser can be as high as £40,000. However, it’s a challenging, busy role, requiring you to work long and often unsociable hours. Working efficiently to manage demanding clients, impending deadlines, product providers, pension administrators, sales targets, and various other key performance indicators can be difficult and stressful. But if you can handle this, and you’re an intelligent, ethically-driven people-person who is genuinely interested in helping your clients achieve their financial needs and objectives, you might just be the perfect fit. Sound like the job for you? – What qualifications will you need? Since 2012, UK financial advisers have had to hold an appropriate RQF Level 4 qualification – equivalent to the first year of an honour’s degree – in order to trade . The list of appropriate qualifications is published on the website of the Financial Conduct Authority (FCA) which is the main UK financial services regulator. While other options are available, the two most popular and well-known Level 4 qualifications for financial advisers are provided by the CII, and the LIBF. Just to be clear, you don’t need to hold both – one or the other satisfies the qualification requirements. The Chartered Insurance Institute (CII) is a professional body for the financial planning and insurance industries, with global network of over 100,000 members in 150 countries. 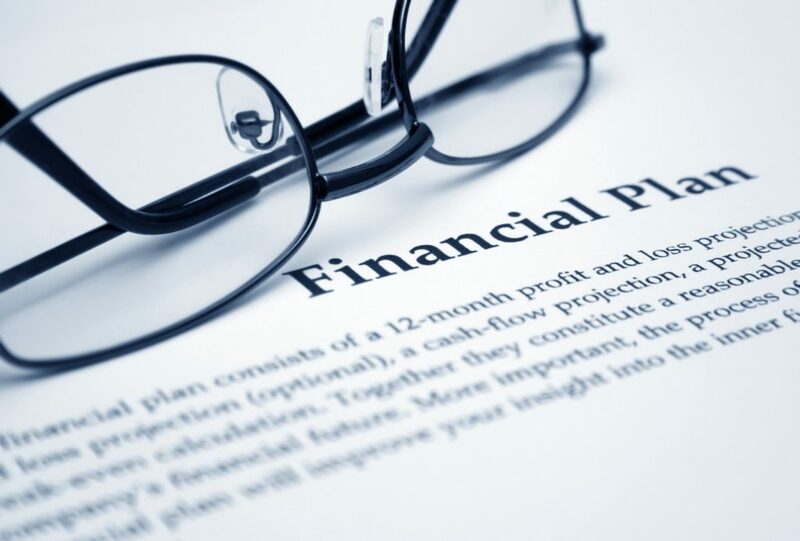 The financial planning division of the CII is called the Personal Finance Society (PFS) . Their Level 4 qualification is called the CII Level 4 Diploma in Regulated Financial Planning. Upon completion, qualified members of the CII can put the designatory letters “DipPFS” after their name, such as on their business card, e-mail signature, and LinkedIn profile. The London Institute of Banking and Finance (LIBF) is a university college that provides financial planning and banking qualifications, with a global community of students and alumni across 120 countries . Their Level 4 qualification is called the LIBF Level 4 Diploma for Financial Advisers. Upon completion, candidates can put the designatory letters “DipFA” after their name. R01, R02, and R03 contain core financial planning knowledge and concepts. Then R04 and R05 provide product areas. And R06 brings everything together in a single written exam. Even for someone who’s never worked in financial services before, these qualifications can realistically be completed within a year. The duration of this qualification is 9 months (3 months for Unit 1 and 6 for Unit 2). The CII route is much more technical, whereas the LIBF route tends to be more holistic and generalist . The CII diploma is more extensive, and better regarded by some professionals within the industry, although it is more expensive and may take longer to complete . It is completely up to you – both qualifications qualify you to provide financial advice, as per the FCA’s website. Producing technical and learning materials. Designing and delivering technical training. Business development manager/account manager Product-selling to advisers (who advise their clients to use the product). Both the CII and LIBF offer a Level 6 Advanced Diploma (equivalent to an Honour’s degree) which is widely accepted as the gold standard level of qualification for Financial Advisers and those in related roles. Beyond Level 6, there are a limited number of Masters-level qualifications (Level 7) available, but in practice only a handful of elite industry professionals hold these. In years to come, these options may become more widely known and undertaken. If you decide to study for your CII Diploma, Expert Pensions offers a blended learning “package” solution for exams R01 to R05 (your multiple choice “technical” exams) and can refer you to an R06 (your written “financial planning” exam) specialist when the time comes. Our packages consist of study notes written specifically for new industry entrants, 20+ videos for each exam, and a bank of practice questions. It is blended learning at its finest, written and presented by some of the best trainers in the UK. Our reputation is solid, and our track-record speaks for itself. We help candidates get through their financial planning exams! We do not offer support for the LIBF diploma. J. Cash, “What is the average salary for a UK financial adviser?,” Money Marketing, 30 April 2018. [Online]. Available: https://www.moneymarketing.co.uk/financial-adviser-salary-uk/. M. Jones, “Are you better than the average man?,” GQ, 3 May 2018. [Online]. Available: https://www.gq-magazine.co.uk/article/average-uk-salary. Financial Conduct Authority, “TC App 4.1 Appropriate Qualification tables,” 3 January 2018. [Online]. Available: https://www.handbook.fca.org.uk/handbook/TC/App/4/1.html. The Chartered Insurance Institute, “About the CII,” 2019. [Online]. Available: https://www.thepfs.org/about/about-the-personal-finance-society/the-chartered-insurance-institute/. LIBF, “LIBF Home Page,” [Online]. Available: https://www.libf.ac.uk/. [Accessed 11 January 2019]. P. Davis, “Which Financial Advisor Diploma should you study?,” Futuretrend, 2017. [Online]. Available: http://www.futuretrend.co.uk/blog/financial-advisor-diploma-study/. Contractor Qualifications, “Which Route To Take,” 2019. [Online]. Available: http://www.level4qualified.co.uk/which-route-to-take/.